For those who want to experience the excitement of an African safari while enjoying luxury accommodations and amenities, the top five game reserves can cater to the luxury traveller. Safari destinations are rated according to the prevalence of animals in their natural habitats, especially “The “Big Five”: lions, leopards, rhinos, elephants and cape buffalo. Masai Mara National Reserve is the most popular wildlife park in Kenya and by far the best for viewing “The Big Five.” The reserve is famous for the annual migration of millions of wildebeests, gazelles and zebras from the Serengeti from July to October each year. Other wildlife include hippos, crocodiles, hyenas, cheetahs, jackals and numerous species of birds and reptiles. Kenya is a top destination for luxury safari vacations. One package offers 19 nights in both Kenya and Tanzania for $15,169 per person. Serengeti is widely regarded as the best game reserve in terms of the density of prey and predators. Visitors can witness “The Great Migration” where more than one million wildebeests and 250,00 zebras travel in herds. Prices can range from $1,000 per person to $3,727 per person for a luxury safari. A flying safari is available where visitors can view the herds from above. The park teems with more than 500 bird species as well as cheetahs, gazelles, hyenas, baboons, impalas, giraffes and many other animals. The Serengeti National Park has been voted many times as one of the top safari destinations in Africa. Kruger is Africa’s largest game preserve and includes 150 mammal species as well as hundreds of bird and reptile species. It is considered one of the safest game parks in Africa. It has the highest variety of wildlife including “the Big Five”, as well as hippos, crocodiles and cheetahs. A seven night package including luxury accommodation and airfare starts at about $4,000. 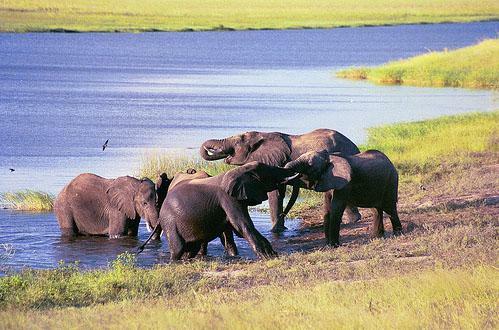 The private Linyati Wildlife Preserve in Chobe National Park is said to offer the best game viewing in Botswana. A package is available for six nights at $7,640 per person. This resort offers all the luxury amenities plus guided tours and viewing of the abundant wildlife in the area. Game nearby include elephants, impalas, giraffes, zebras, buffalo, lions, leopards, wild dogs, cheetahs and spotted hyenas. Known for plentiful wildlife plus 400 species of birds, South Luangwa is filled with prides of lions, hippos, antelopes and baboons. A seven night safari is priced at $6,000 per person. 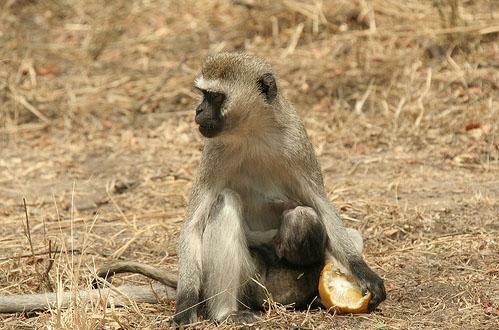 Walking safaris as well as night excursions with qualified guides and a boat cruise up the Zambezi river are available. Visitors can see cheetahs, leopards, wild dogs, zebras, impalas, elephants and herds of buffalo.